In the Toronto Star last weekend was a special 2-page spread on the sorry state of Toronto’s water mains with emphasis on who’s to pay for upgrades (see story online here). 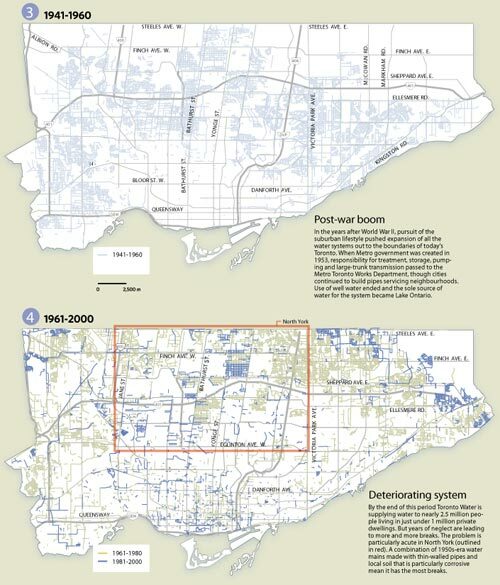 However, the maps included give a fascinating glimpse into the history of Toronto’s development seen through the age of the water mains. 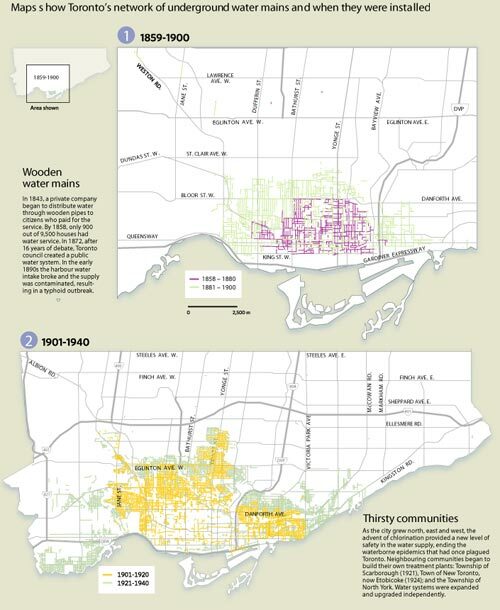 Divided into four periods, 1859-1900, 1901-1940, 1941-1960, and 1961-2000, these maps are indispensable for anyone interested in the history of urban infrastructure. To see a little more detail, follow these links (maps 1+2, maps 3+4) – if you prefer a much more detailed PDF version of the maps is available from the Star’s site here (PDF).